On one level, cooking them is a somewhat foolproof process—they come precooked and their high fat content helps keep them moist even after they've been on the grill a little too long. But on another, there's definitely a difference between a good grilled hot dog and great one. 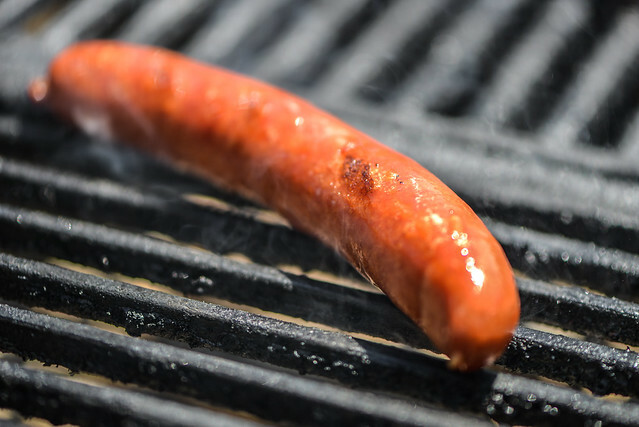 Although it may sound a little counterintuitive, there are tricks to grilling these emulsified sausages that can make them the best they can be. For the final installment of this summer's "basic grilling knowledge I should have imparted many years ago," it's time to handle the flare-up. You know the score—you're rolling along, bringing some steaks to a perfect medium-rare with a beautiful crusty sear, then, without a moment's notice, those grilled beauties are engulfed in fire, bringing on the possibility of burning them beyond recognition. Will you let all your hard work up go up in flames? With a little understanding of the problem at hand, the answer is most certainty a "no." 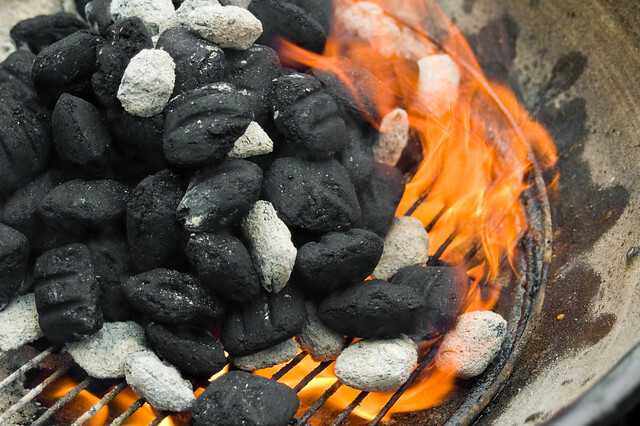 Continuing on the trend of dispersing some grilling basics over this summer, after finding the best coal arrangement for your cook, the next biggest thing is getting to know how hot your fire is and how to control it. Different foods like different heats—while a steak will appreciate a nice searing heat, over the same fire a chicken will quickly burn to a crisp before it ever has the chance to cook—so gauging your fire's temperature is a crucial step before slamming down some food. I get so wrapped up in my endless supply of recipes ideas, that I forget that I still have a lot of ground to cover here on the basics of grilling. So over this summer, I'm tasking myself to put up some long overdue guides on fundamental grilling know-how to make sure we're all the best grillers we can be. To start things off, a primer on coal arrangements is needed. 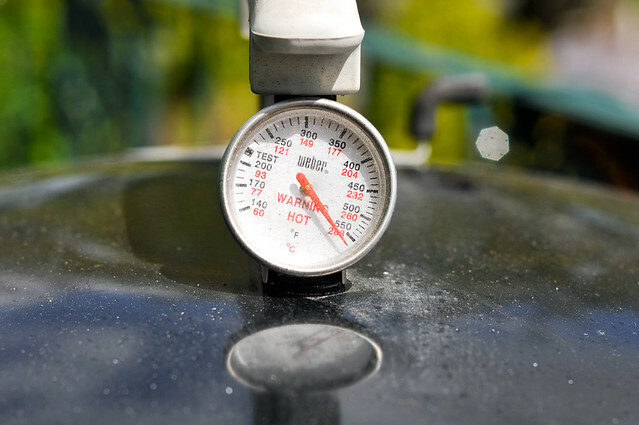 In almost every post, I mention either direct or in-direct heat, and mastering this difference, and all the in-betweens, is essential to becoming an excellent griller. It's a common occurrence that I'm poised with the question of which form of charcoal—briquette or lump—do I use an why. 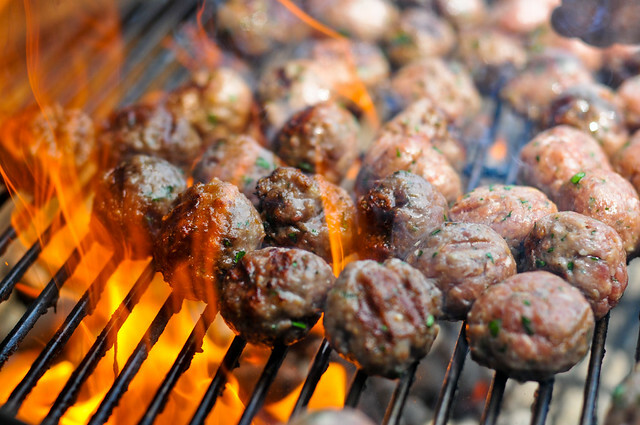 It's a fiercely debated topic in the grilling world with die-hard loyalists who will go to all lengths to defend their fire source. It's much more of a gray area for me, as I see the ups and downs of both and have reasons to pick one or the other based on the application. 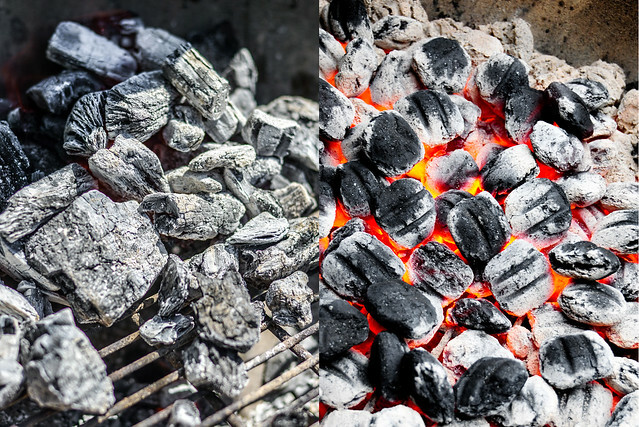 After receiving a bag of lump charcoal from Cowboy Brand, I decided to take this edition of Meat Tips to go through the different qualities of charcoal and pit briquette against lump and see how each fair within each category.